This listing is for a digital print-yourself Invitation at your favorite print shop. I customize, you print. What's included? A high resolution, totally customized jpeg of your invitation sent via email. 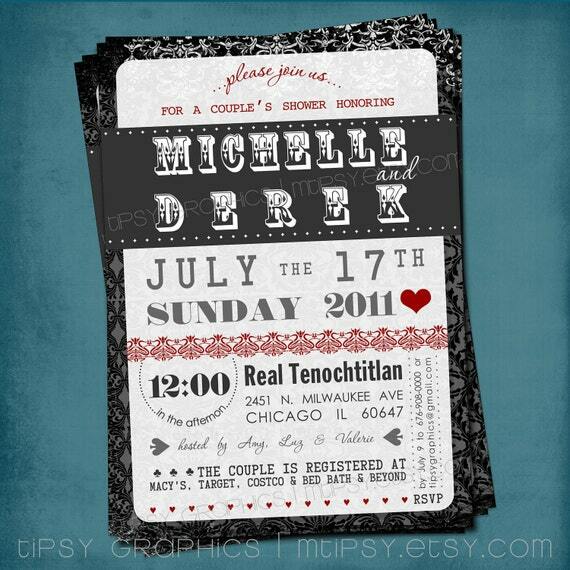 photos, text, and changes for your card in the Notes to Seller Box at checkout or to (TipsyGraphics@gmail.com). Photos of 300 dpi or more work best for printing. Once everything looks exactly the way you'd like, you can email the design to your friends and family or print as many as you like from home or at any photo processing lab you choose. Please contact me about your custom project! www.facebook.com/TipsyGraphics . . . Come say hi! Joint Milestone Surprise Birthday Party & Retirement Invite. Double Party. Twins. Old School Baby Photos by Tipsy Graphics.